A neglected figure receives committed advocacy. 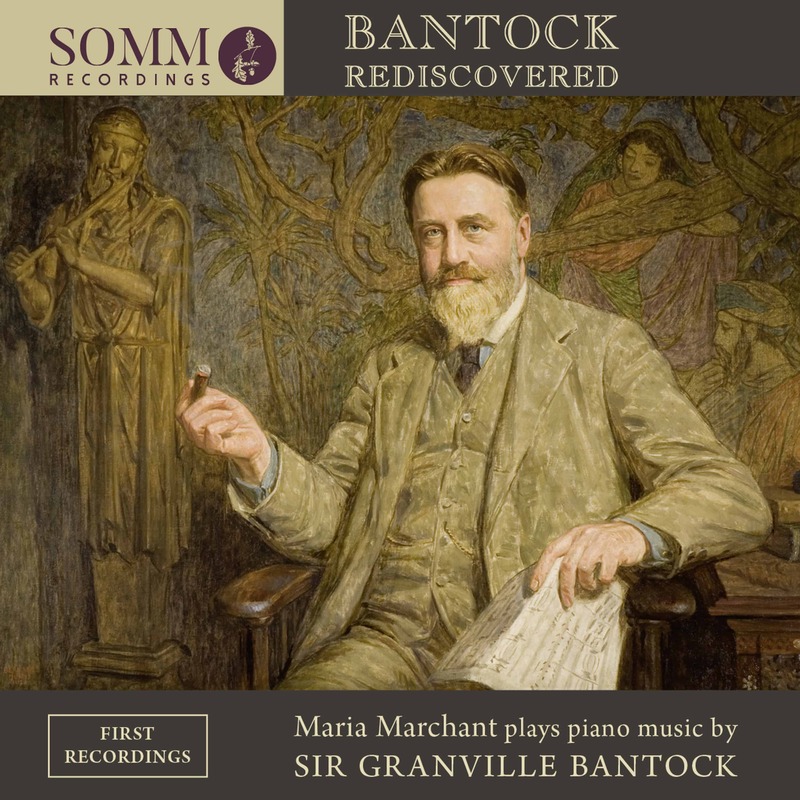 Sir Granville Bantock (1868-1946) was prominent in English musical life in the early 20th century, not just as a composer but as a tireless teacher, musical administrator and entrepreneur. Like Beecham he established festivals, choral groups and orchestras (he co-founded the City of Birmingham Orchestra). Around 20 years ago, Vernon Handley recorded six discs of Bantock’s orchestral works, creating renewed interest in his music. British pianist Maria Marchant gives us 23 of his short piano pieces, none of which has been recorded before. Most, like the Chanson de Mai (1930) and the Parade March (1936), are redolent of the past: these would fit neatly into an evening of Victoriana, though they post-date the work of Schoenberg and Stravinsky by decades. The overture Saul is a piano reduction that clearly works better in its orchestral garb, despite Marchant’s committed advocacy. The best pieces are among the miniatures: Bantock’s nod to the French Impressionists in the atmospheric Cloisters at Midnight (1920), the Fauré-like Barcarolle (1894), and Memories of Sapphire, composed in Colorado for a lady who was not his wife. The neglect of Bantock’s music is blamed on World War One, which swept Edwardian tastes aside, but I think it is equally due to inconsistent inspiration. He often starts with a good idea then falls back on secondhand pianistic decoration to fill it out. Marchant does beautifully, but this music is mostly unmemorable.